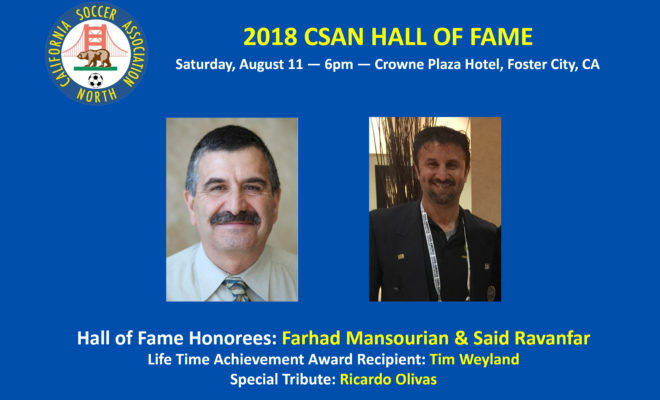 Join us in celebrating Farhad Mansourian, former CNRA Director of Referee Development, and Said Ravanfar, CNRA State Referee Administrator, as they’re inducted into the California Soccer Association-North (CSAN) Hall of Fame. They will be honored at the CSAN Hall of Fame Dinner on Saturday, August 11, 2018. Reserve your seat today! $55 per adult ticket, $25 per child ticket. Reservations for dinner can be made by calling the CSAN office at (415) 467-1881 or (866) 404-2726. 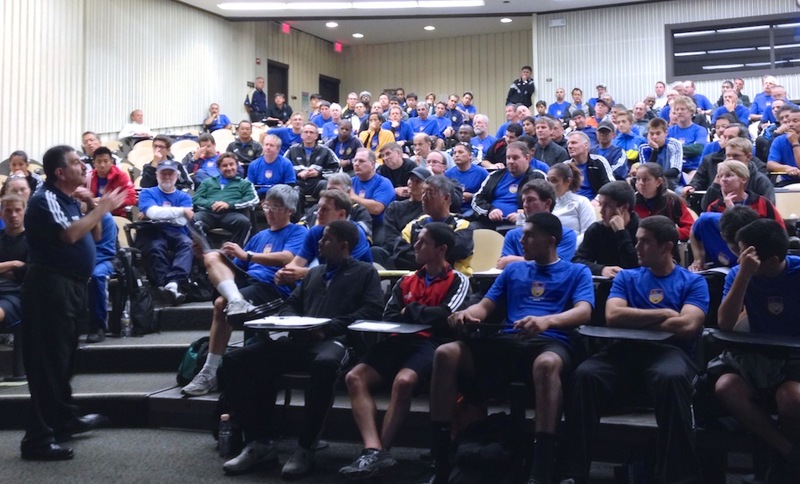 You can also register by clicking here, filling out the form, and mailing in a check.